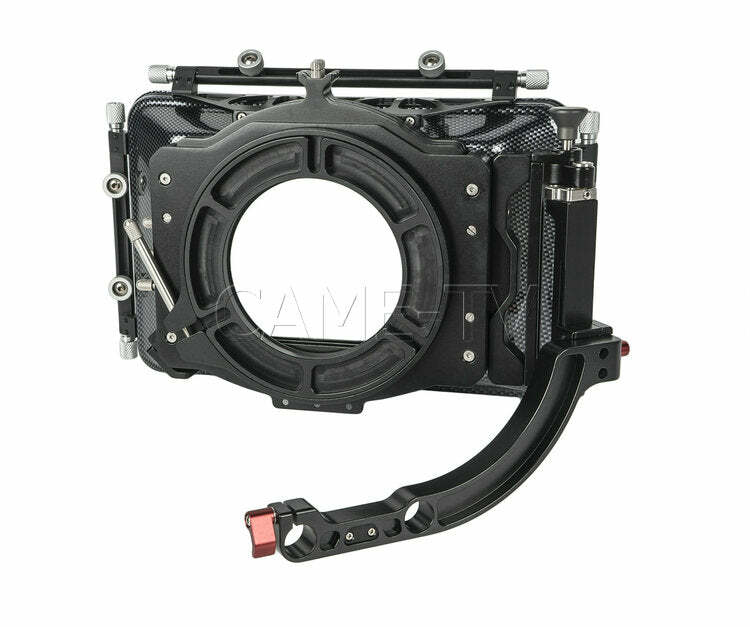 CAME-TV rig for the Blackmagic URSA Mini Camera/URSA MINI PRO has a top handle assembly and a shoulder mount assembly that both attach directly to the camera body. 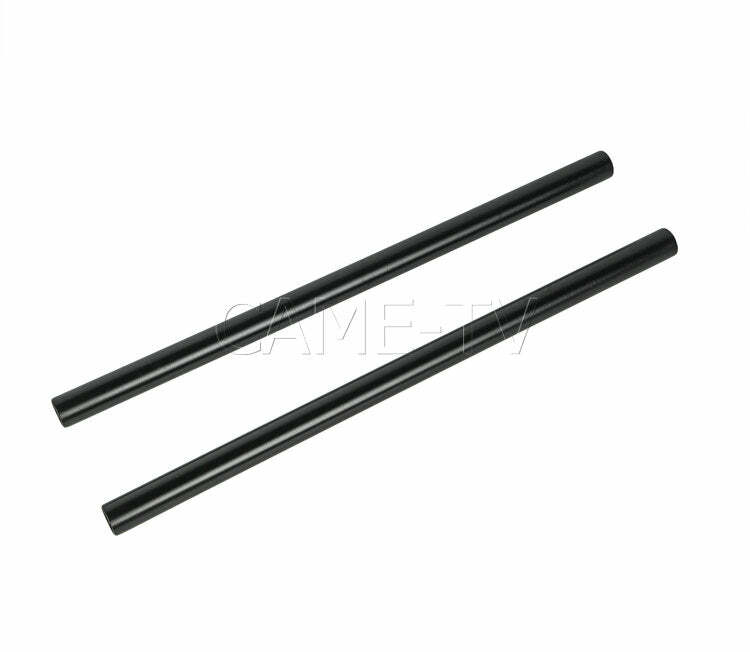 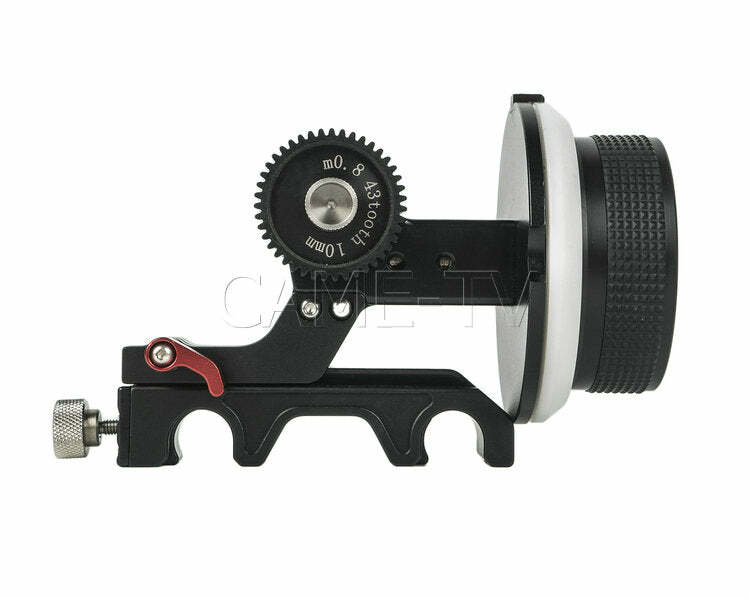 The top handle is very sturdy and features many mounting holes for attaching accessories. 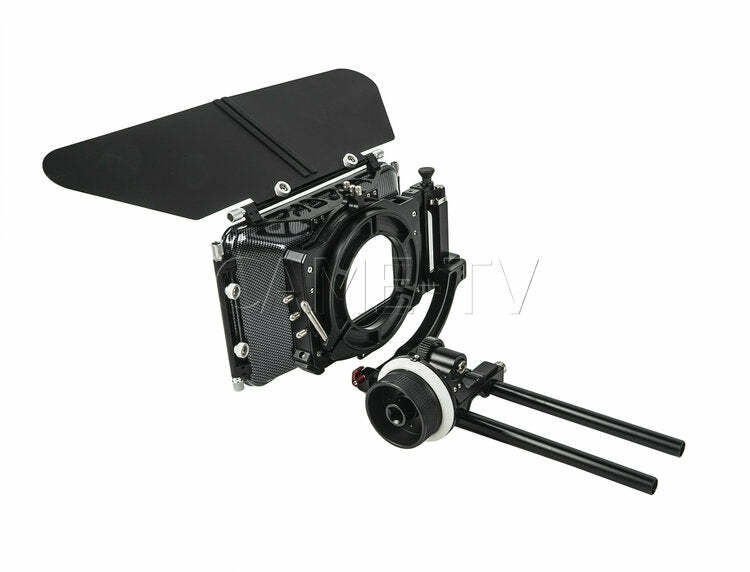 The shoulder mount has a comfortable pad that is great for long shoots. 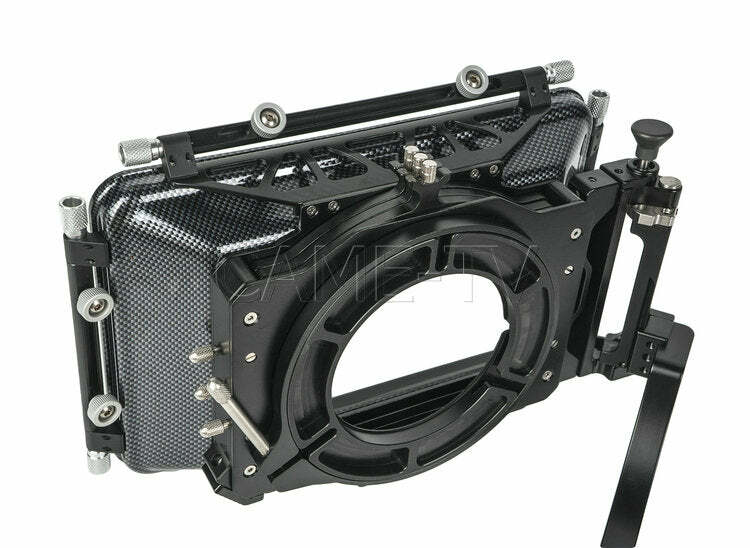 The base has 2 rosettes for mounting of the arm on either side and has two 15mm rod holes to expand the rig's capability. 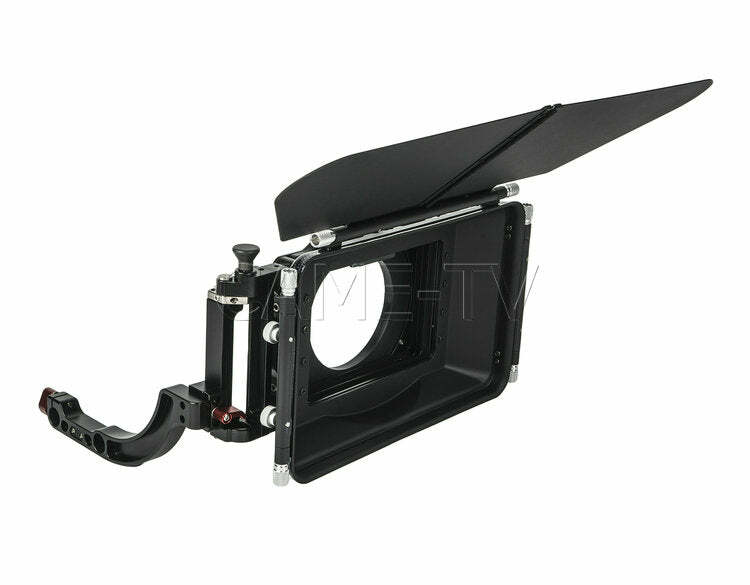 The included arm will allows attaching a handle or hand grip. 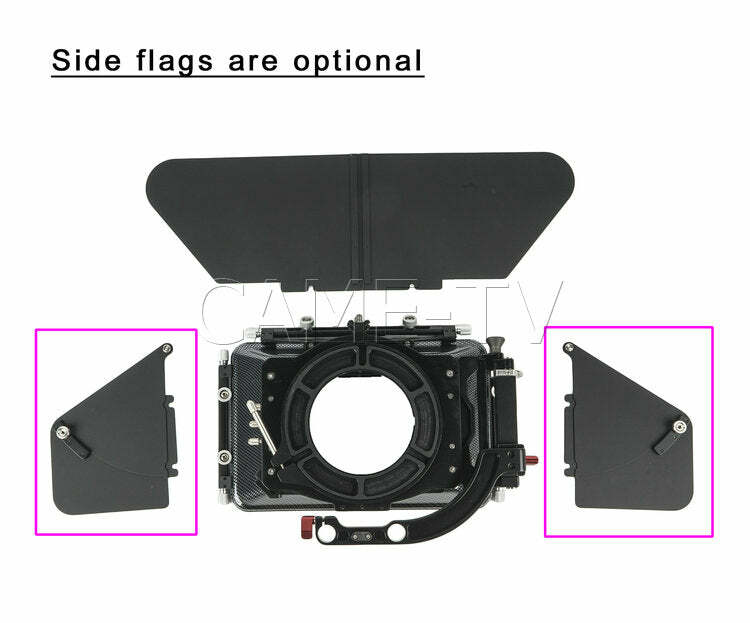 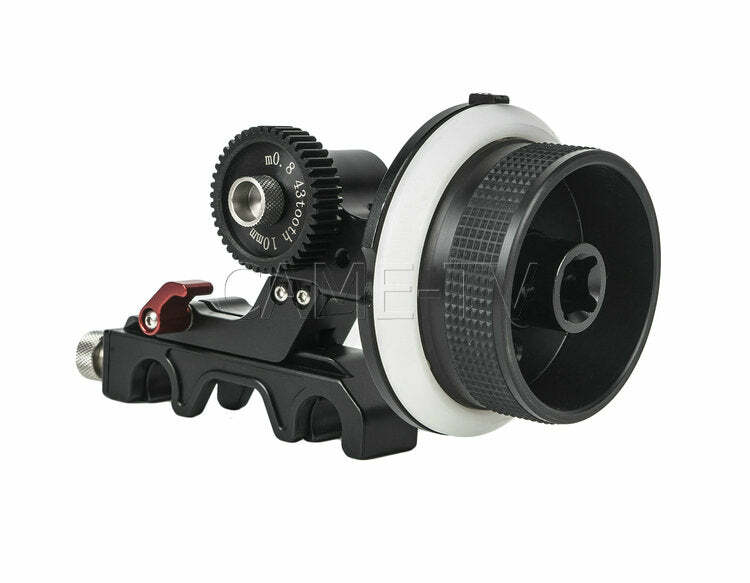 The base is compatible with the VCT-U14 plate which allows for rapid mount or dismounting of the camera from the tripod.